Taking a dig at the opposition leaders for doubting the ranking, he said those who worked with World Bank are now doubting its ranking. NEW DELHI: Prime Minister Narendra Modi today exuded confidence that India's ease of doing business ranking will further improve next year when the impact of GST - the biggest tax reform - is taken into account. He was in attendance with World Bank CEO Kristalina Georgieva and other dignitaries at a conference named 'India's Business Reforms' on Saturday. In the latest World Bank report, India jumped 30 places to be placed at 100th position on the Ease of Doing Business (EODB) rankings. This ranking takes into account reforms initiated only till May-end and does not reflect the impact of the Goods and Services Tax (GST), which was implemented from July 1, he said. Modi said he does not want to sleep over the 30 place jump this year - the biggest leap by India ever, and want to do more. He said he has "one life, one mission" of bringing change to India and its 1.25 billion people. On the GST, he said a group of ministers has positively accepted issues raised by traders and businesses and the GST Council at its next meeting on November 9-10 will make necessary changes. He listed out the reforms initiated by his government, saying India is swiftly changing for the better. Tax filing, registration of new business and getting electricity connection have been made easier. 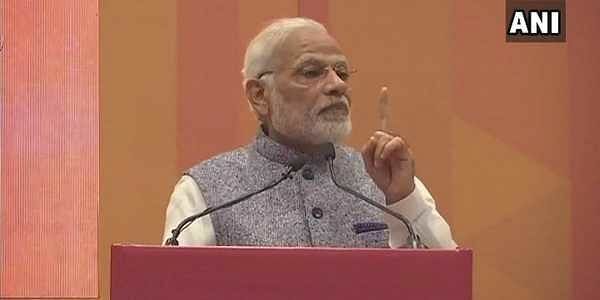 "We are among the most open economies of the world," Modi said. The Prime Minister said if the United Progressive Alliance (UPA) government would have done some work when they were in power, then India would have achieved this milestone long back. “There are some people, who do not understand what improving from 142 to 100 means. They are those people who have been a part of the World Bank. They are still raising a question on its ranking,” Prime Minister Modi said without directly referring to the Congress party. “They didn’t do anything, and now the one who is doing something is being questioned. Coincidently, the World Bank started this ease of doing business ranking process in 2004. The year is very crucial and everyone knows who was there in power till 2014,” he added. The Prime Minister's remark came days after the Congress party dismissed the World Bank report on India’s improved ‘ease of doing business’ and mocked the National Democratic Alliance (NDA) government over the same. While addressing a rally in Gujarat, Congress vice president Rahul Gandhi on November 1 said there is nothing like ‘ease of doing business in India’ as Goods and Service Tax (GST) and demonetisation have ruined everything. He said such improved ranking is good, only for making Finance Minister Arun Jaitley happy. Soon after this, Congress spokesperson Randeep Singh Surjewala averred that ‘ease of doing business’ has become ‘cease of doing business’ for micro, small and medium enterprises under the ruling government.